Biologists at Ruhr-Universität Bochum and Georg-August-Universität Göttingen have gained new insights into specific enzymes that effect the specialisation of fungal cells. 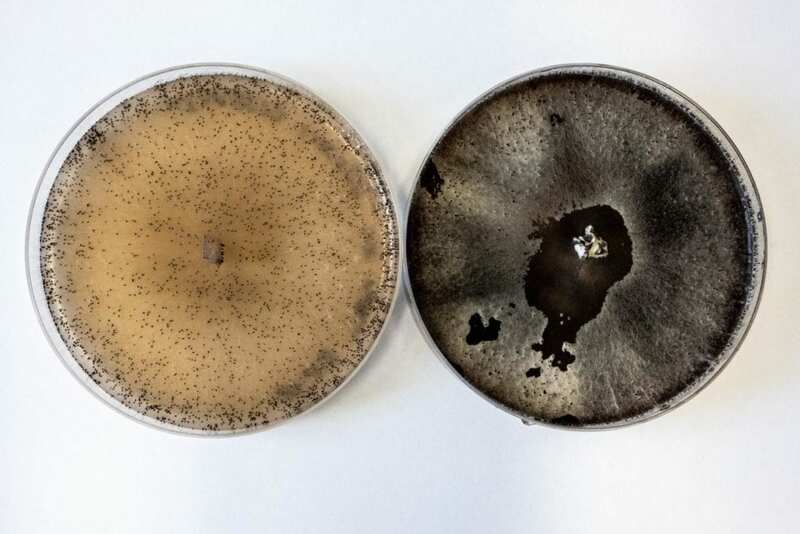 Analysing the microscopic fungus Sordaria macrospora, they demonstrated that the KIN3 enzyme connects different cellular signalling pathways that are involved in developmental processes. Thus, it is crucial for the sexual life cycle of the fungus. The team headed by Dr. Daria Radchenko and Professor Ulrich Kück from the Chair of General and Molecular Botany published a report on their study in the journal Genetics; it is featured as the cover story in the September 2018 edition. KIN3 is a so-called germinal center kinase; this group of enzymes occurs in all organisms with a cell nucleus. Kinases control essential developmental processes, such as cell growth and cell differentiation. "The kinases of different living organisms, for example animals and fungi, exhibit similar structural and functional properties," says Daria Radchenko. "Consequently, analyses of simple microbial organisms also yield insights into the corresponding proteins in mammals." In her PhD thesis, Radchenko analysed various processes that result in a specialisation of cells during the development of the ascomycete Sordaria macrospora. By generating mutants of the fungus that were unable to form the KIN3 enzyme, she demonstrated that KIN3 plays a vital role in the sexual development of the organism. Mutants lacking the enzyme remain sterile. In follow-up studies with multiple mutants, it emerged that KIN3 connects several signal cascades that are essential for developmental processes in all living organisms with a cell nucleus. In experiments using fluorescence microscopy, the researchers detected that the cell structure in those mutants was drastically altered; they were unable to form cross-walls. This resulted in numerous developmental disorders. Coordinated development of organisms requires the correct temporal and spatial distribution of signalling molecules in the cell. In mutants that lack KIN3, as the study authors conclude, the correct distribution appears to be impaired; this results in malformations of the organism. "Generally speaking, these scientific findings may be used to draw conclusions for cellular processes in mammals, in which the loss of the corresponding enzyme leads to neurodevelopmental disorders, leukaemia, or carcinomas," says Ulrich Kück. "By providing an insight into the mechanistic principles of these disorders, our data may be used for developing new therapeutic approaches."